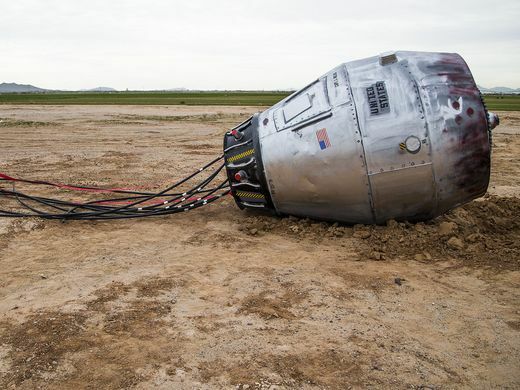 The abandoned cement mixer that’s been turned into and abandoned space capsule by an artist. The oddity sits eats of Phoenix near the Casa Grade exit on the south side of the road. The cement tree that sits off Interstate 80 between Salt Lake City, Utah, and Wendover, Nevada. “What’s that?” I asked Jean. Truly a woman of the times, Jean said she didn’t know but she would find out. “I doubt you’ll find that on your smartphone,” I said as she began tapping its keypad. Told me exactly what we had passed. It was an abandoned cement mixer from an old truck that artist Jack Milliard had painted to look like a downed space capsule. The abandoned mixer had sat in the field for 30 years before that. Flats between Salt Lake City, Utah, and Wendover, Nevada. As a journalist, I had written about this 83-foot-tall structure that was built to withstand desert winds gusting at over 130 miles an hour, and earthquakes in the order of 7.5 on the Richter scale. According to the local Highway Patrol, and Wikipedia, more than two million cars travel past the tree annually, and five to seven an hour of these cars stop for a more thorough look. 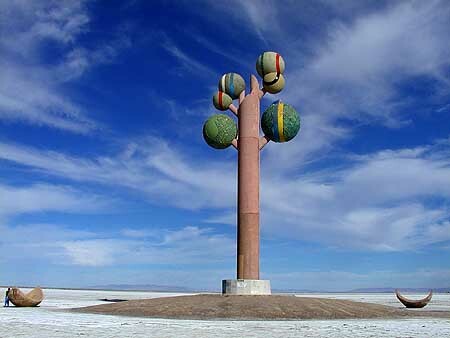 When Utah pumped water out of Great Salt Lake onto the West Desert to avoid the lake from flooding in the 1980s, the joke was that the state was doing so to water the cement tree. 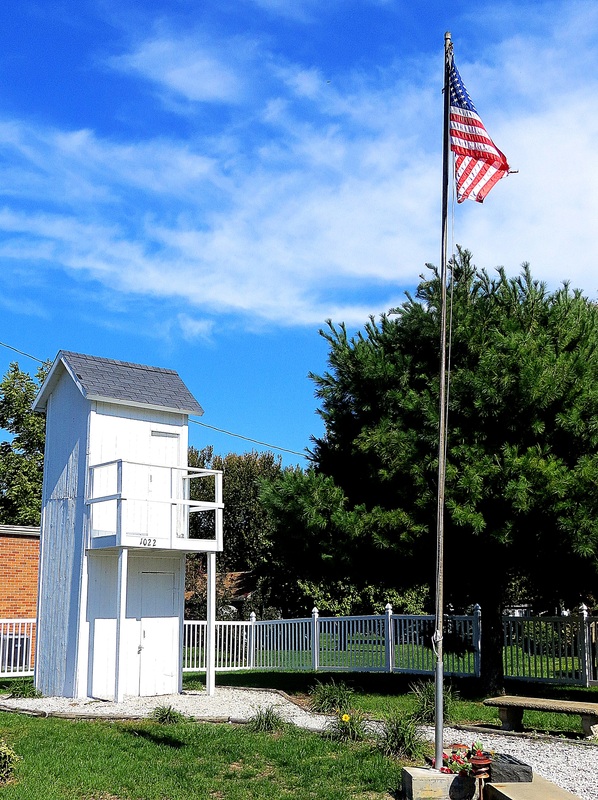 Then I remembered the Two-Story Outhouse in Gays, Illinois. I did a short travel blog for American Profile magazine on this roadside oddity. Such surprising sights are what make road trips so delightful. Do you have a favorite roadside oddity? I hope you do. I’d love to hear about it. Bean Pat Frog Diva thoughts https://frogdivathoughts.com/2018/12/03/all-i-want-is-a-hippopotamus-for-christmas/#like-8863 Do you remember this? I do.